Trusted Reviews ends up giving the HP Photosmart Plus B209a a “Trusted Reviews Recommended” award and an overall score of 9 out of 10 points. The printer scores highest on print quality, features and value while scoring a little lower on print speed. The reviewer really likes this printer with its high quality prints, nice touchscreen and very low price. The only downside is a bit slow print speeds, but overall this seems like a very capable printer at its low price. 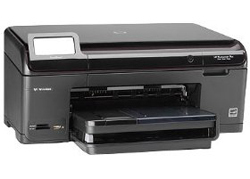 Read the full review of the HP Photosmart Plus B209a wireless all-in-one printer here.